Tribune Chronicle / John Vargo Youngstown State senior Ryan Strollo (10) defends against Cleveland State’s Kasheem Thomas Saturday at Beeghly Center. YOUNGSTOWN — Twelve of 27. Twelve of 27 from the free-throw line. Result. A 99-94 Cleveland State victory over Youngstown State in double overtime. This was a YSU men’s basketball team that was 35 of 84 from the floor. 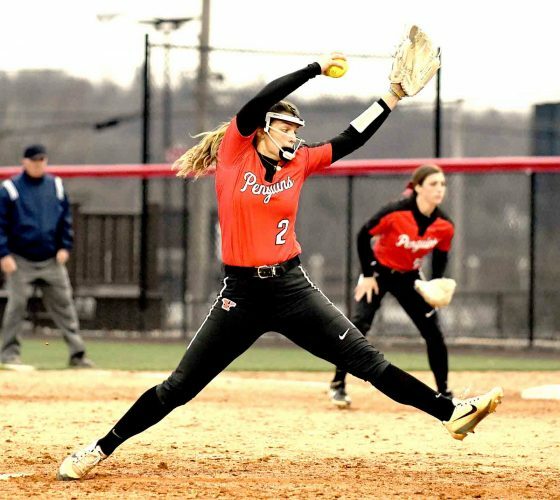 The Penguins (8-23, 6-12 Horizon League) took 24 more shots than the Vikings (9-22, 6-12). These two teams likely will face each other for a third time Friday in the Horizon League tournament’s first round in Detroit. 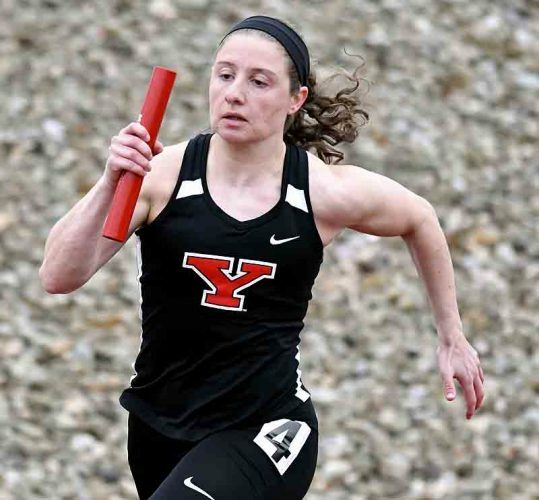 YSU won the first meeting in Cleveland on Jan. 1, but it had two glaring statistics smacking them in the face in Saturday’s loss at the Beeghly Center. “We’ve got to finish plays,” said YSU senior guard Jaylen Benton, who had a career-high 21 points. “We’ve got to knock down free throws. We can’t have empty possessions where we’re missing lay-ups, missing front ends of one-and-ones. 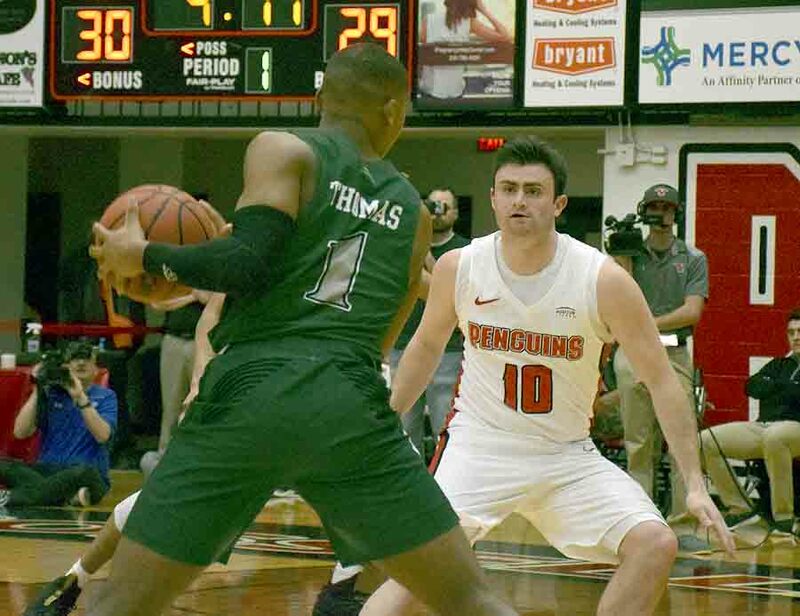 There were times in overtime and down the stretch in regulation, but it was consistently bad throughout the game — YSU missed many point-blank shots on the inside. Cameron Morse was hounded all night by a CSU team which had five players in double figures — led by senior Bobby Word’s 25 points, 15 more than his average. Morse found ways to get open and was 7 of 18 from the floor during a game YSU knew it should’ve won. Devin Haygood had 16 points and Braun Hartfield added 12. Naz Bohannon, one of the Horizon League’s leading rebounders, had 15. It wasn’t the night Calhoun envisioned either. He had three of his four seniors start Saturday. Walk-ons Benton and (Ursuline graduate) Ryan Strollo started, along with Morse. Calhoun feels bad for the listed 5,483 in attendance and his upperclassmen on senior night. “You’re trying to establish culture, identity and toughness, things our program needs,” he said. “You feel bad for those seniors because they’re going to remember that game. The other senior, Francisco Santiago, who is recovering from ACL surgery, is trying to get a sixth year of eligibility from the NCAA. That won’t be determined until the season is over. 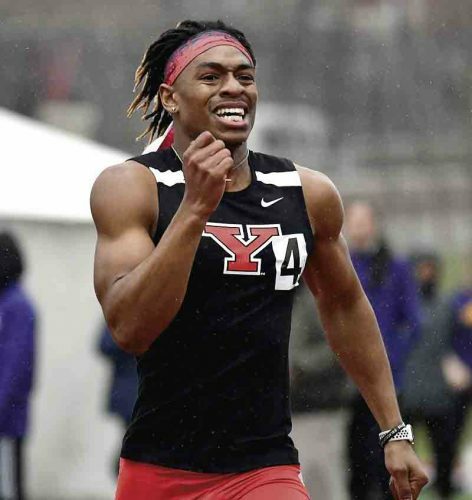 At the beginning of the week, YSU thought it could finish as high as fifth. Instead, the Penguins were relegated to the first round on Friday with seeds seven through 10.
Who knows what could happen there. 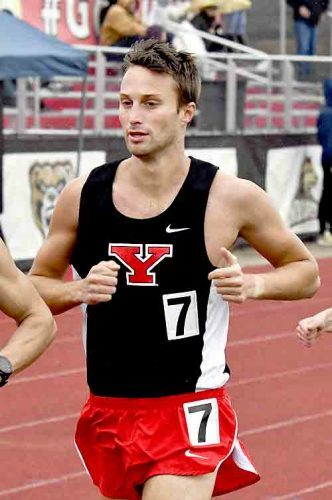 This YSU team limped into the postseason last season and went to the semifinals. “It’s like life,” Calhoun said. “If you don’t seize the opportunities, then the opportunities pass you by. That’s what happened with our ballclub. Shooting 12 of 27 from the free-throw line and 35 of 84 from the floor — 24 shots more than your opponent — gives you that perspective.